Rosemont Estates in Marlboro is an intimate active adult community that welcomes residents aged 55 and better. With a spacious clubhouse, a range of social activities, and offering a low-maintenance lifestyle, Rosemont Estates encourages homeowners to spend time getting to know their neighbors. This prestigious location has luxurious homes, a wide variety of amenities, and enjoys proximity to several popular East Coast destinations, including Philadelphia, New York City and Atlantic City. Easy access to the New Jersey Turnpike and other major highways make it easy to travel throughout the surrounding area. 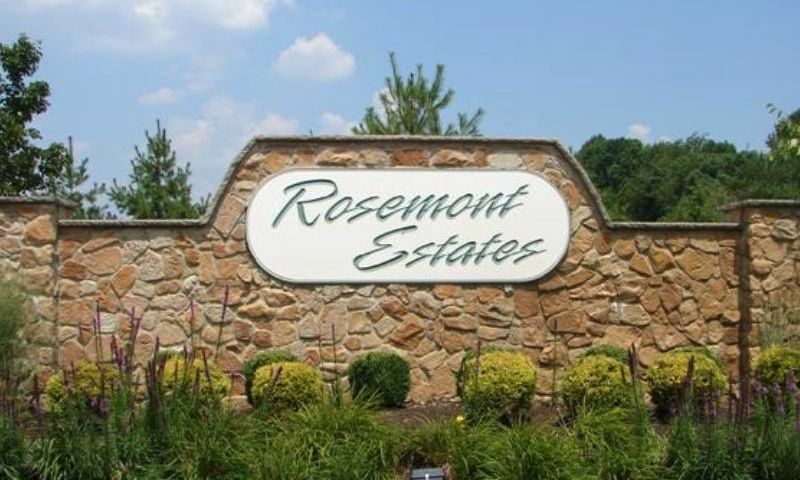 Rosemont Estates is an age-restricted community that requires at least one occupant to be 55 or older and no one under the age of 19 may permanently reside in the community. Rosemont Estates amenities begin at the beautifully appointed 16,000 square-foot clubhouse. This spacious gathering center offers a wide variety of activities to support an active adult lifestyle. The large fitness center includes both cardiovascular and strength-building equipment and a separate aerobics studio. The indoor swimming pool includes a whirlpool, saunas, and locker rooms for men and women. The clubhouse also provides plenty of space for socializing and pursuing hobbies. Residents can meet for a game of billiards or cards, make use of the community computers, or spend time in the cozy library. For those who prefer to swim or lounge in the sunshine, there is also an outdoor swimming pool with a spacious terrace. During the warm summer months, active adults can get in a few laps or relax with friends. Rosemont Estates also includes two tennis courts and a series of walking trails for getting in your daily workout. The homes at Rosemont Estates offer opulent living in an ideal location. Built by Regal Homes, Rosemont Estates offers 242 single-family homes in nine different models. These spacious ranch-style homes range in size from approximately 2,400 to 2,800 square feet and offer two to four bedrooms, two or two-and-a-half bathrooms, and an attached two-car garage. Each of Rosemont Estates single-family homes include luxurious features and an array of options that let homeowners personalize their home design. No detail is overlooked as these homes boast desirable elements such as professionally designed kitchens with 42-inch cabinetry, foyers with hardwood flooring, and elegant master bedroom suites with tray or coffered ceilings and optional basements. With all of this and more, discerning buyers are sure to be pleased with the beautiful homes at Rosemont Estates. With plenty of amenities and a prime location, Rosemont Estates is an intimate community that offers an exciting, active lifestyle for those aged 55 and better. There are plenty of amenities within the community, including a fully equipped fitness center, indoor and outdoor swimming pools, and tennis courts. There are also several social clubs that let residents explore their interests while getting to know their neighbors and also a Spring Fling Bazaar that's held at the clubhouse for the whole community to enjoy. Set in prestigious Marlboro, Rosemont Estates enjoys a prime location that will appeal to many active adults. Close to the New Jersey Turnpike and other major roadways, such as Routes 70 and 73, make it easy for Rosemont Estates residents to explore the surrounding areas. They can also easily travel to nearby popular destinations such as Philadelphia, New York City and Atlantic City. Newark international Airport is also approximately 30 miles away, ensuring that your next long-distance trip is always close at-hand. Closer to home, Rosemont Estates is just minutes from many fine dining and shopping options. The nearby Freehold and Woodbridge shopping malls offer a wide selection of stores and restaurants, while local farms offer the freshest produce. There are also many local cultural attractions, such as The State Theater in New Brunswick and the Count Basie Theater in Red Bank. Rosemont Estates has the home variety, the amenities, and the renowned location to make any active adult busy and happy. There are plenty of activities available in Rosemont Estates. Here is a sample of some of the clubs, activities and classes offered here. The single-family homes at Rosemont Estates will provide enough space for any active adult with options ranging from approximately 2,400 to 2,800 square feet. These homes have two to four bedrooms, two or two-and-a-half bathrooms, and an attached two-car garage. I moved to Rosemont 9 years ago. It is a wonderful community. The houses are extremely spacious for a 55+ community, and the location is superb-private(only 242 homes) but extremely convenient to every kind of shopping(costco, whole foods, wegmans,Home depot, TJMAXX, Freehold Mall for Lord & Taylor & Nordstroms). Also minutes to the matawan train station or Rte 9 for the bus to NYC & for beach lovers Rte 18 gets you to the great beaches of the NJ SHORE so fast! Our community has a newly redecorated clubhouse(16,000 sq ft) with a heated indoor pool that is open every day of the year(whirlpool & sauna too)-which is a feature as a homeowner I love! We have a gym, tennis courts, walking paths, card rooms, poker & pool tables, social hall, library-the outdoor pool is wonderful and grand kid friendly! Rosemont is a wonderful community! Ridiculous community with ridiculous rules. Was told I could not wash my own cars in MY OWN driveway. They are cruel to pets, will not allow owners to walk their pets on the sidewalk grass, make us walk the dogs on the scortching hot pavement. The residents in this community need a life/hobby they are all so nosey, and rude. Can't wait to get out of this place. We wanted an active community with a nice clubhouse and amenities but we didn't want to downsize our home. Rosemont Estates fit our needs perfectly because the floor plans are large with plenty of bedrooms and extra space. The clubhouse has everything we wanted and the fact that it is a gated community is great. It's very private and quiet. 55places.com is not affiliated with the developer(s) or homeowners association of Rosemont Estates. The information you submit is distributed to a 55places.com Partner Agent, who is a licensed real estate agent. The information regarding Rosemont Estates has not been verified or approved by the developer or homeowners association. Please verify all information prior to purchasing. 55places.com is not responsible for any errors regarding the information displayed on this website.